Using general practices of management is management philosophy; many organizations practice these tools that endeavor to improve their efficiency and competitiveness in the business markets. It is an integrated approach to reaching and maintaining high-quality production and services focusing on the maintenance and continuous improvement of operations in order to satisfy or exceed the customer satisfaction. Many researchers have done a lot of work on other management practices; total quality management is an important one of them in this competitive era, which has rarely studied especially in small and medium size entrepreneurial companies in Pakistan. This quantitative research study tried to determine the impact of Total Quality Management practices on job satisfaction level of the employees of those small and medium size companies based on new and creative ideas in the capital city. 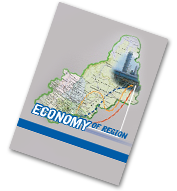 The conducted survey among 550 employees of small and medium size entrepreneurial companies in the capital of Pakistan got 200 employees response properly in filling out the questionnaire. The collected data was analyzed after applying software (version 20) Statistical Package for Social Sciences. Multiple regression was applied to test the proposed model, which was found satisfied. Leadership and top management support were founded the most dominant practice among the selected Total Quality Management practices which has a significant effect on employee job satisfaction. The findings of this study prove that the implementation of Total Quality Management practices can help in increasing employees’ job satisfaction which intern would increase Productivity of small and medium size entrepreneurial companies.